Definition: a strong intellectual capacity marked by clever humor. I love a clever joke that I don’t see coming. This is often difficult to bring about in writing without the pace or the dialogue dragging. Try bringing a longer range ‘joke’ into the storyline so it comes about organically, centering on a witty character! Targeted irony is difficult to master without causing offense, because it often entails the person it’s directed toward to laugh at themselves because of a belief or action they don’t really give much thought to. Comedians pull this off all the time, but the audience is expecting to be targeted. Show the witty use of irony within a story, and have it work, but in a setting where those targeted don’t see it coming. Wittiness is something that most people enjoy and appreciate. Put your character in a situation where another character must be ‘won over’ to this type of humor. Witty characters and people are such fun! But wit is sort of a gift isn’t it? Hard to force, either in fiction or in real life. Yet another great post. I think witty in a book is hard to pull off because a lot of times it is subtle. Thanks everyone for the kind comments and shout outs! I’ve been out of town for the weekend and this was so great to come home too. I love witty characters, but find it hard to pull off without verging into overly sarcastic wit. Hope this helps! I love good wit, and this reminds me why a lot of agents and publishers say they look for humorous stories. Your post was a nice development of the pros and cons of being witty. 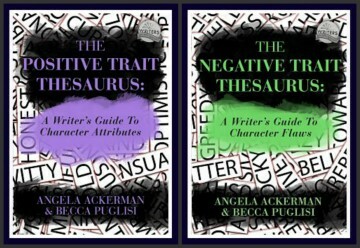 Your blog is really a nice treasure chest of character traits to consider. Awesome! I love witty characters! Witty would be harder to pull off than simply amusing or funny. I can’t even think of an example from a book. Great entry! Enjoy the rest of your weekend. Welcome, Arlee! And thanks so much, Miranda :). I absolutely love witty characters in any shape or form! Great post. Thanks! Hey, you just described my grandad! He was excellent at the witty remarks (on both sides of the coin). @Medeia Sharif: I agree on the picture. Yet to see that movie though. Miranda Hardy recommended you so I am now following. A witty character provides much needed entertainment value to a story. Great twists, Ange. It’s kind of hard to think of how to put a new spin on ‘witty’, but there’s always a way, if we think hard enough. I love witty characters and I agree with your cliche. I love that pic. Two of my favorite Hollywood men. I love witty characters (and people)! Great entry, Angela. This is one that’s tough for me, especially if I think about it too much. It’s so easy to come across as just obnoxious instead of witty. Thanks for the tips. I am definitely not witty so would have a hard time portraying this in a character. Another awesom character trait. Thank you!